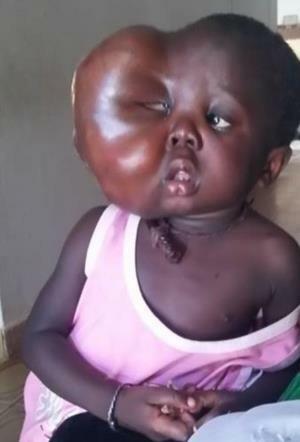 After careful, strategically planned trips to four countries this summer, Dr. Obeng was touched and moved by 4-year-old Sarjo with her disfigured face. Dr. Obeng has arranged for Sarjo to come to United States where he will do what may seem by millions as impossible. Sarjo arrives in Los Angeles on Thursday, August 11, 2016, which is when her transformation will begin. Dr. Obeng was born with the gift himself, to touch and change lives, faces, bodies etc. of many, with no means whatsoever to handle the cost for these surgeries. Dr. Obeng, through his charity, R.E.S.T.O.R.E., Restoring Emotional Stability Through Outstanding Reconstructive Efforts, and donations from the kindhearted, has been able to donate 100% of all services free for all surgeries that he and his select staff performs either on tour or case by case here in Beverly Hills, CA.